We had every intention of visiting San Diego very frequently when we moved here. It was our trip to San Diego in 2013 that kickstarted this whole “move to California” thing, after all! Unfortunately, life happens and we haven’t made the trip to visit Dan’s grandmother as often as we would have liked to, but we have managed to visit at least once every couple of months and we always have such a wonderful, relaxing time. When a friend from back home in Virginia messaged me asking for recommendations in San Diego for an upcoming trip, I just knew I had to write a few of them down here as well! There is so much to see and do in San Diego, all while living it up in perfect weather and the most laid back vibe you’ve ever experienced in a city. (We almost moved there instead of Orange County! Dan’s job helped us choose OC.) I’ve included some links to old posts with the information below; they have more pictures and talk more about our first experiences in each place. Anyone arriving by plane will love to find that the airport is only blocks from the downtown area. Just around the curve of the bay is Seaport Village, a little shopping and dining spot, which lines the waterfront alongside the USS Midway and various piers. This is a very walkable area with great views of the bay. 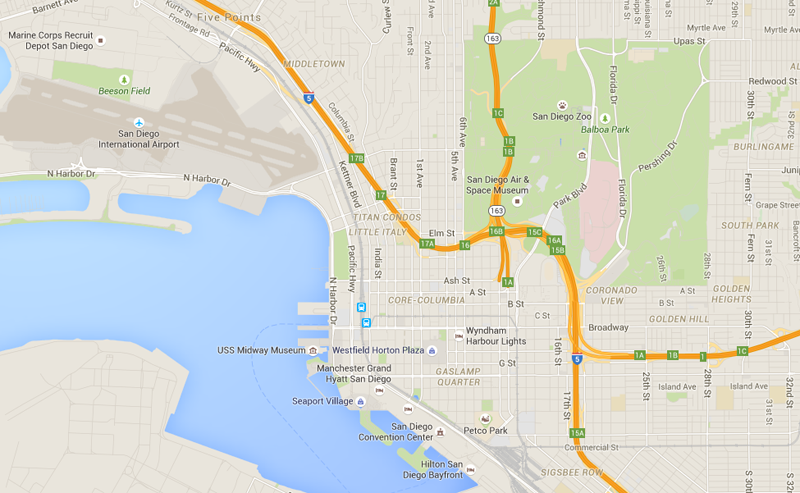 Directly across Harbor Drive from Seaport Village is the beginning of Market Street and the Gaslamp Quarter. The Gaslamp is a revamped and trendy part of downtown boasting various restaurants, galleries, shops, and bars. This part of town is where you’ll probably spend most of your nights if you’re staying in a hotel downtown. Get Around: Walk! The Gaslamp and the rest of downtown are very walkable. If you need a lift, I suggest an Uber. Various busses and the trolley also roll through frequently. East across the bay lies Coronado and Point Loma. Coronado is a peninsula boasting the Hotel Del Coronado, famous for being featured in “Some Like It Hot” (Marilyn Monroe), along with beautiful grounds, beaches, and an expensive ($90/person) yet exquisite Sunday Brunch. Visiting the Hotel Del is worth the drive over that scary-high Coronado Bridge. Point Loma is a different peninsula, with the bay on its east side and the Pacific on its west. 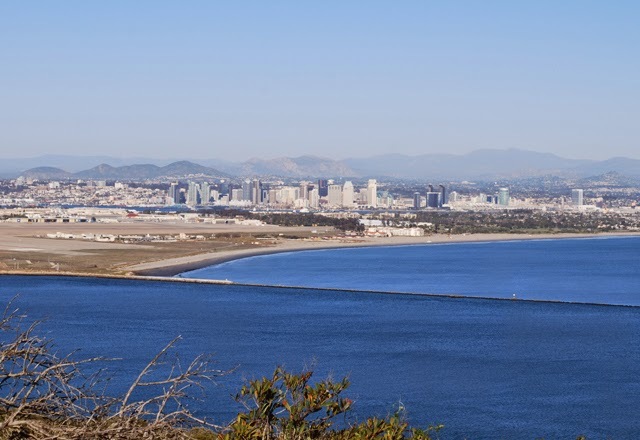 The naval base and Fort Rosecrans National Cemetery account for a large part of Point Loma, but at the southernmost tip is Cabrillo National Monument and the Historic Point Loma Lighthouse. As a national park, it costs $5 per vehicle to enter this area, but the views of downtown from the monument are unbeatable and make for incredible photos. Balboa Park is a sprawling 1,200 acre park that contains most of San Diego’s museums, gardens, performing arts centers, and other attractions. A large part of the park was built up to celebrate the 1915 World’s Fair, although much of it was built before that time. Passes for multiple museums or multiple days can be bought to save on admission. 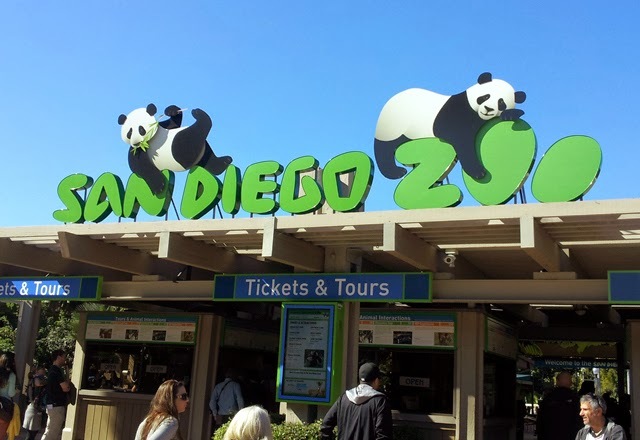 Along with everything else it has to offer, Balboa Park is home to the San Diego Zoo, 100 acres featuring 3,700 rare and endangered animals and over 700,000 exotic plants. This is definitely an attraction to add to your “must-see” list; you could spend an entire day there and not see everything. Tickets start at $48 per adult for a 1-day pass, but various add-ons and discounts are available. Make sure you take the Skyfari aerial tram, as it offers a great view plus a nice lift back to the front of the park after a long day of walking. Get There: GPS and drive to 2920 Zoo Drive in Balboa Park and parking is free! Or take the bus: There are five pickup points for the Rapid 215 or Route 7 throughout downtown and buses come every 15 minutes. Old Town is one of my favorite places to visit in San Diego. 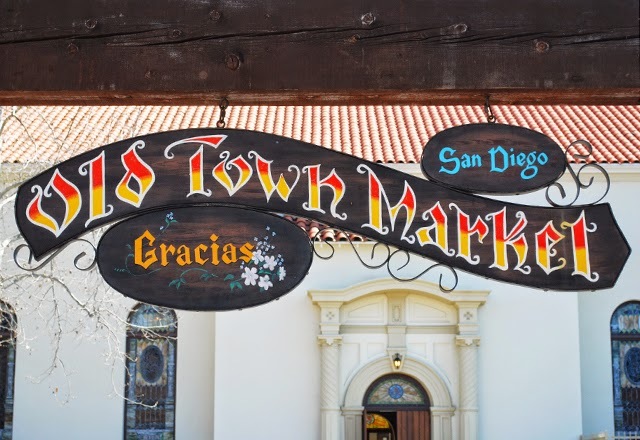 This is the birthplace of San Diego and is now made up of renovated buildings containing shops, historical information, and restaurants. There are reenactors in period dress, museums, ghost tours, and frequent events. Make sure you stop by the newly-renovated Cosmopolitan Hotel to feel like you’ve stepped back in time; the interior is gorgeous! Also, don’t miss wandering around through the shops and courtyard near Fiesta de Reyes. There you’ll find traditional dances and performances, mariachi bands, and margaritas! Where to Eat: Fiesta de Reyes 2754 Calhoun Street – Get the verde chicken enchiladas, yum! Get There: Old Town is easily reached by a short ride on the trolley. There are several stops downtown and it will drop you off on the north-western side of Old Town. Get a $5 day pass; one way rides are $2.50 each and you never know where else you may want to ride it that day! 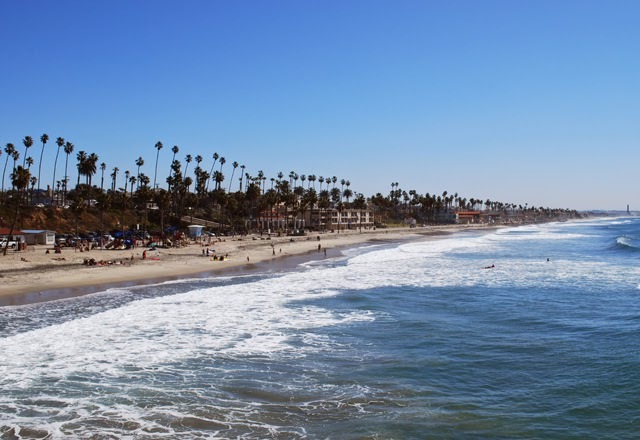 If you’ve rented a car or don’t mind figuring out the train schedules, definitely take a ride north on the 5 freeway (or the beach-hugging 101) or take the Coaster to the little seaside towns of Carlsbad or Oceanside. I think Carlsbad has more of a “downtown” area worth exploring, but Oceanside is nice too and has a pier you can walk. Each places will take about an hour to reach by train, a time that may greatly increase if you’re driving; California traffic is notoriously known for a reason. Get There: I personally think the train would be the best bet here, with stations located conveniently in the center of each downtown and easy walks to the beach. (Use Carlsbad Village stop, not Poinsettia stop.) You can find information about the train schedules and fares here. Just be cautious of the last return trip times. PS – If you visit Old Town and one of the beach cities in the same day, a day pass for the Coaster will let you visit both on the same ticket, saving you the trolley fare mentioned above. La Jolla wins my vote for most beautiful beach city in San Diego County. You will see mentions of this in most visitors guides and everywhere online. Do not visit San Diego and miss out on La Jolla! It’s only around 12 miles north of downtown San Diego and worth whatever it takes to get you there. Visiting the cliffs of La Jolla has a lot to offer; restaurants and shopping are prevalent along the La Jolla Cove area, but the scenery here is the best part. See the seals and sea lions from the Children’s Pool Observation Walkway, visit Sunny Jim’s Sea Cave, or rent kayaks or stand up paddleboards to explore the area from the water. 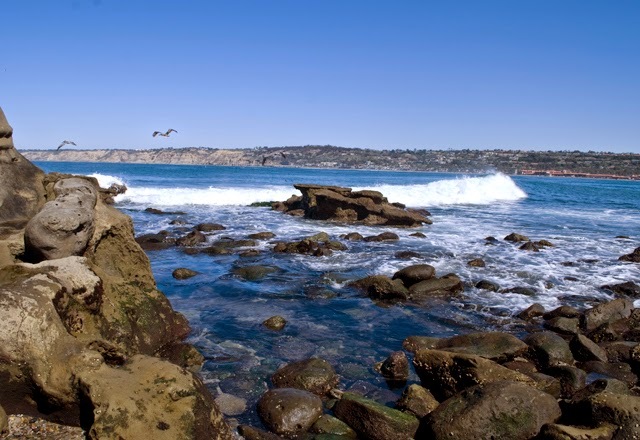 You could easily spend a full day in La Jolla and love every minute. Get There: Unfortunately a train does not make stops in La Jolla or far enough east to walk to the cliffs. You’ll need to take the #30 Bus (schedule here) if you want to use public transit. A taxi or Uber may be a good bet if you don’t have a car, but driving would probably be the easiest and quickest. A good place to plug in on the GPS is Scripps Park, La Jolla, which overlooks Children’s Beach and the cliffs. This one is a bit far out there, but if you have a car and have a day to spend driving out into the mountains, do it. Julian is an old mining town, now famous for their apple pies. 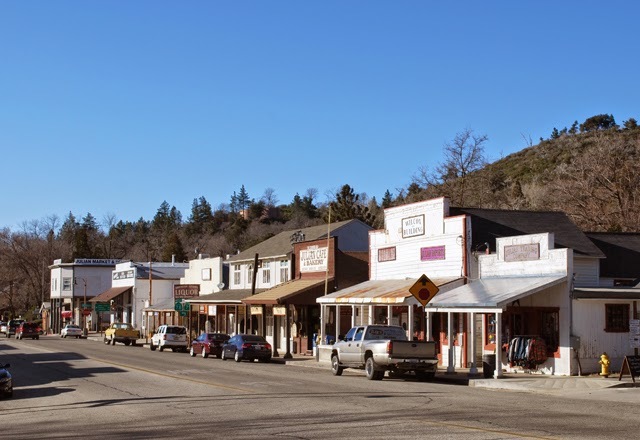 You can take a tour of an old gold mine, but just wandering around and visiting some of the shops makes for a good afternoon. Have a slice of apple pie! Get There: You’ll have to drive, and it’s about a 75 minute drive from downtown San Diego. Just punch in “Julian, 92036” on your GPS and that should get you there. You’ll take the 8 freeway east and then hop off onto highway 79 north. It’s a long and curvy way up, but this part of the county is gorgeous. This is all I have for now! 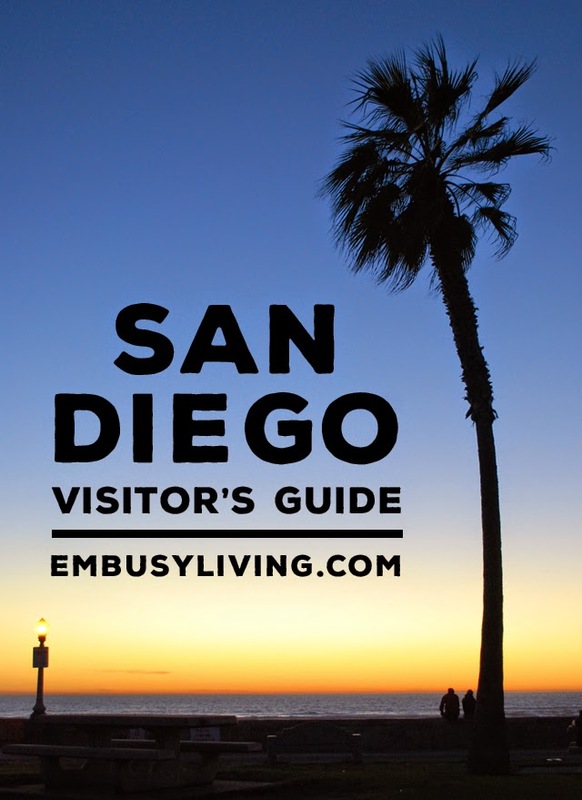 I know this is a quick overlook of San Diego, but I feel like I touched on a lot of great places to visit during your time there. Please feel free to contact me if you have any questions! I love helping people plan their travel! San Diego (and California in general) has been top on my list for traveling for awhile! One of my good friends goes to school in San Diego, and I’ve never been to the West Coast! thank you so much for all these recommendations! I am definitely bookmarking this for when I get the chance to visit! Found this through Wanderlust Stories! Thank you so much for joining, Emily! Oh San Diego looks lovely!! Definitely going to consider a trip there if we go to America! Thanks Talia!! Definitely consider San Diego, it’s amazing! Oh wow Courtney, I bet that was an incredible trip! I would love to drive down the west coast one day!